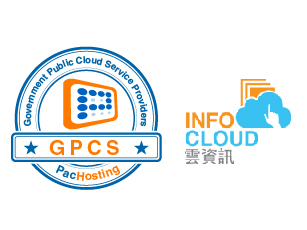 Hong Kong, 26 August 2014 - PacHosting (Pacificnet Hosting Limited) is now one of the Government Public Cloud Service (GPCS) Providers for Cloud IT Services and Business Applications, approved by The Office of the Government Chief Information Officer (OGCIO). The Cloud Servers by PacHosting is a virtual server solution with hypervisor proven to outperform other alternatives in the market by up to 90% and up to 140%. Enhanced with SSD Accelerated Caching to offer exceptional high I/O and fast response time, high availability and resilience is further increased by triple replication in data storage and automatic switchover. With 10Gbps high speed connection between the Tier 3 data centers located in Hong Kong Island, Kowloon and New Territories, PacHosting is providing customizable bandwidth for the Hong Kong local, mainland China and international traffic straight into HKIX1 and HKIX2 on fiber optics network. Having over 10 years’ experience in operating the hosted Exchange service based in Hong Kong, PacHosting offers innovative cloud solutions featuring up to 100GB storage from Hosted Exchange 2013 Advance. With Hosted Exchange 2013, users can access hosted emails, calendar, contacts and tasks anywhere across Microsoft Outlook, mobile devices and web browsers. PacHosting also offers customizable, integrated security measures through spam firewall with 12 defense layers.